As we inch closer to the March 17 premiere of CW's iZombie, the network released a new poster on Friday. 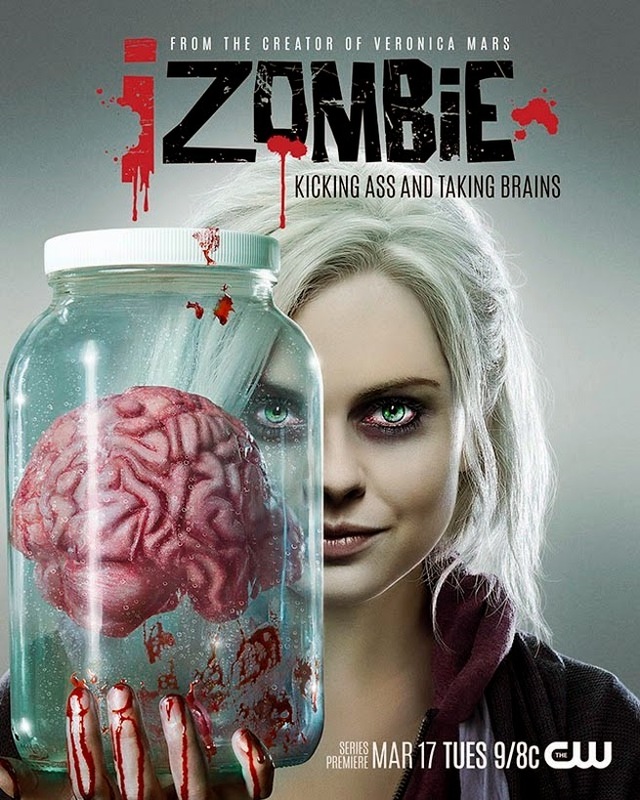 It illustrates what the newly walking dead med student, Liv Moore (Rose McIver), craves as uses her position at the morgue to fill her appetite. In doing so, she also vividly accesses the memories of the deceased. Along with a police detective, she takes that information in order to solve crimes. The quirky drama, based on the Vertigo Comics series of the same name created by Chris Roberson and Michael Allred, is produced by Veronica Mars-helmer Rob Thomas. You can see some of the same sensibilities in the trailer with a self-effacing female lead. While it isn't completely derived from the comic there should be enough humor, action, and intrigue to attract audiences to a new take on the zombie genre. The series also stars David Anders, Malcolm Goodwin, Rahul Kohli, and Robert Buckley.